I contacted these people yesterday morning at 9am. I had a last minute idea for my son's 40th birthday. I was asking for what I expected to be a near impossible task, but thought it was worth a shot anyway. Just over 24 hours later I had the silver gift in my hand which also carried an engraved message. These people are amazing! Their customer service is truly commendable. I would like to especially thank Lynda in Sales who made this all possible. You have made me one very happy lady and I know that my son will be delighted with his special gift tomorrow. Great service. Super prompt. Turned around in days. This whistle is a lovely brute. Really nice presentation too, sturdy quality box. 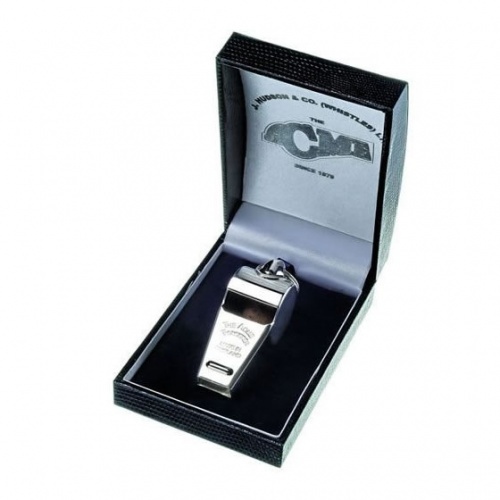 Quality of engraving surpassed expectation. A great gift, purchase with confidence. Perfect gift we needed at the 11th hour! Thank you very much for the super fast despatch of the whistle. I was very surprised, as I assumed having it engraved would mean a delay. The item was exactly what I wanted, nicely boxed, and beautifully engraved. Thank you for excellent service. 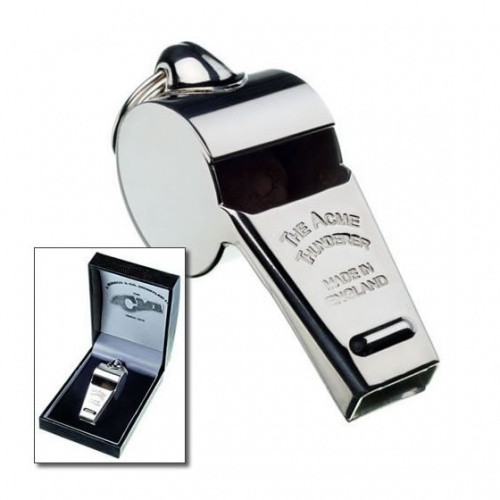 I bought one of these whistles for my husband he is a coach for junior teams at our local football club. It arrived really quick I wasn't expecting it until the end of the week. The case is really nice much better than expected from the picture. My husband was really surprised and loves the whistle but he says its too good to use. Thanks again I will certainly recommend your website.